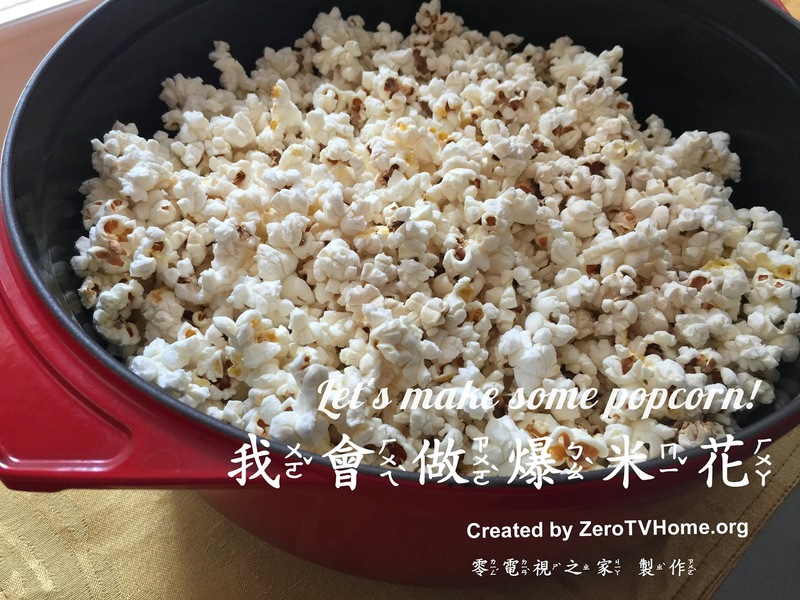 ZeroTVHome.org 零電視之家: [ Bilingual E-book雙語電子書 ] 我會做爆米花 Let's make some popcorn! [ Bilingual E-book雙語電子書 ] 我會做爆米花 Let's make some popcorn! Mmm…the kettle cooked popcorn at the county fair smells so good! Mom said we can make some popcorn at home. Yeah, I love to help mom in the kitchen!